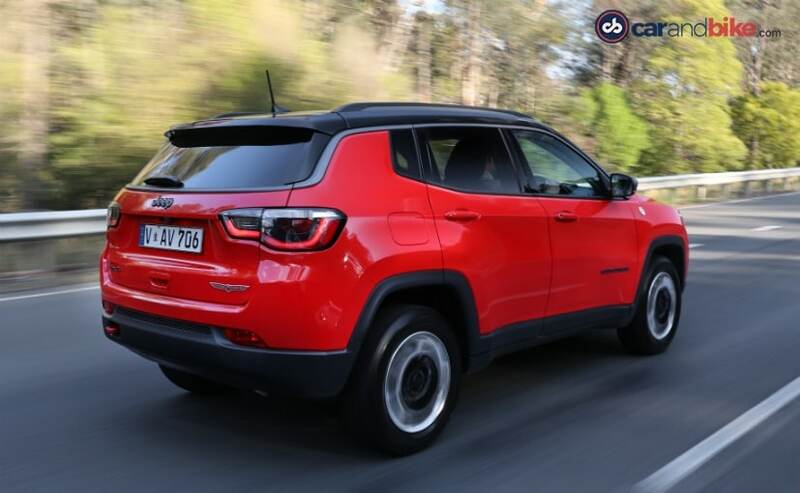 The Jeep Compass in India is the American SUV maker's most affordable SUV and has been a great option for individuals looking for a conventional SUV design in the Rs 20-22 lakh range. While it has sold over 25,000 units since its launch over a year ago, a lot of car buyers have been asking for a diesel automatic option. Earlier this year we did drive the Jeep Compass Diesel Automatic (click the link to read the review) in Australia in its top spec 'Trailhawk' variant and were quite impressed with it. While Jeep India has originally intended to launch the Compass Trailhawk diesel automatic in 2018, reports now suggest that the launch schedule has now been pushed to early 2019. Bookings for the Jeep Compass Trailhawk Diesel Automatic have already begun at dealerships though. While this might most certainly end up disappointing a fair few SUV buyers who were looking forward to buying the SUV during the upcoming festive period, there is some good news too. When launched next year, the Jeep Compass Trailhawk Diesel Automatic will be BS6 ready. This means that the SUV will have both mechanical and electronic upgrades in the engine that make it run a lot cleaner than it does now. 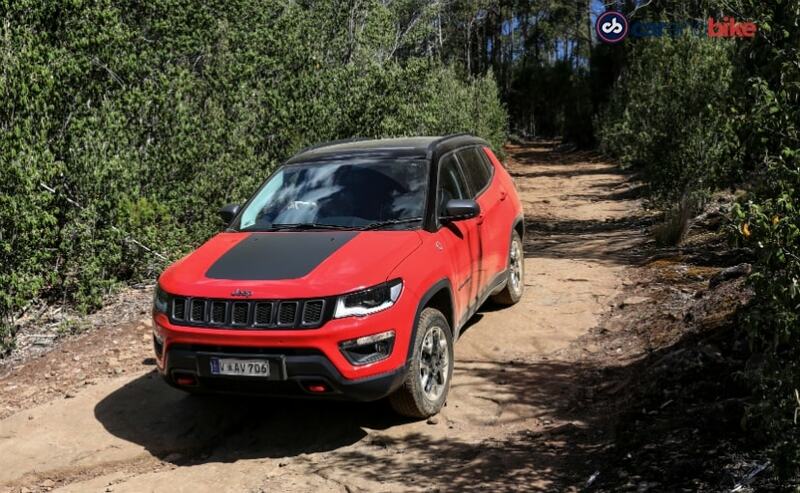 The Jeep Compass Trailhawk of course will also get a while bunch of other upgrades as compared to the standard models including beefier suspension and bigger wheels and tyres. Also Read: Jeep Compass Trailhawk - All you need to know! Other changes will also include a new sticker pack for the bonnet, black accents on the grille and wheels and a set of new badges with red highlights. 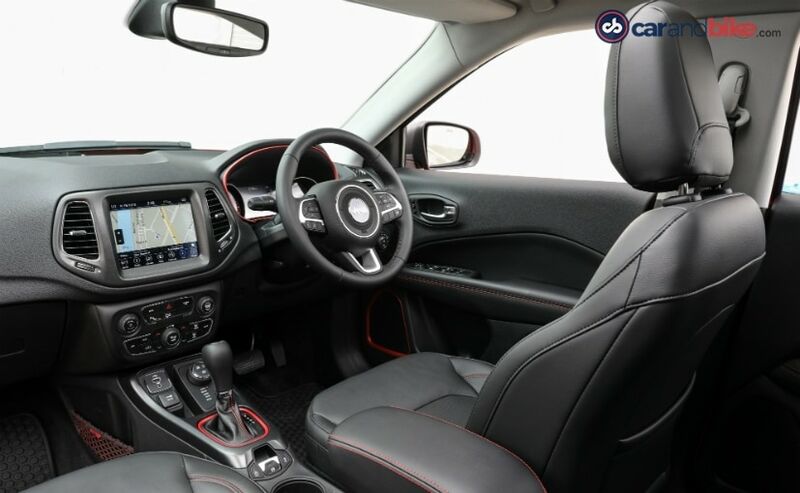 The new Jeep Compass Trailhawk Diesel Automatic will also have a whole bunch of red accents on the interior in order to make the variant stand out from its standard brethren. While it is confirmed that the Jeep Compass Trailhawk will have a diesel autobox, whether or not the same autobox will also go into other variants like the Limited isn't know just yet. Also See: Jeep Compass Trailhawk Diesel Automatic - SPYSHOTS!